Tell Seattle Public Utilities About Flooding or Standing Water in Your Neighborhood. Use SPU’s interactive map to drop a pin on any locations where you have seen flooding on sidewalks or in streets. The information you share will help SPU understand where the City’s wastewater and stormwater systems may not be working like they should. A more complete list of problem areas means we can plan better future solutions. Access the map here! Is there a place in your neighborhood that looks like this? Let SPU know using the map available here! Explore the headquarters of this automotive empire and meet legendary race car driver Al Young. Full details below courtesy, ATLAS OBSCURA. 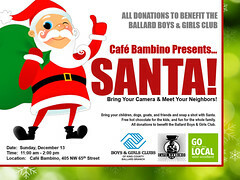 Join Al Young and the team at Bardahl for this exciting, first-of-its-kind tour of the Seattle Bardahl headquarters. Operating in the heart of old Ballard for over 80 years, the Bardahl Manufacturing Corporation has helped fuel the world. 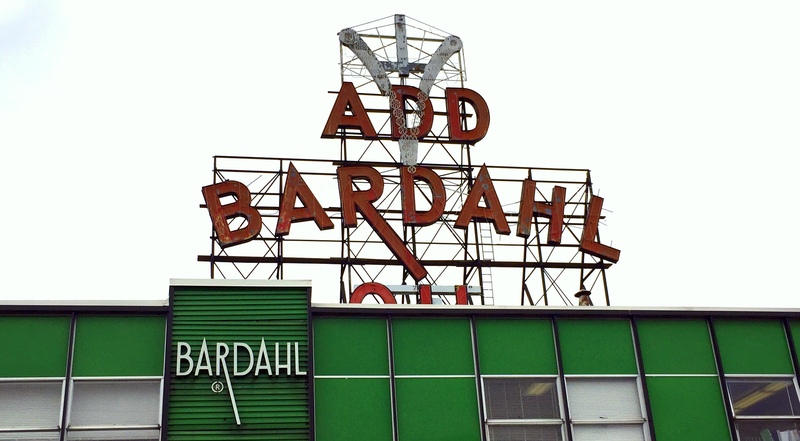 Founded by Norwegian immigrant Ole Bardahl, who came to Seattle in 1922 with just 26 dollars to his name, Bardahl blossomed into a motor oil company that led the industry by the 1950s and continues to this day. Known for engaging, mob-style advertising campaigns featuring menacing characters such as “Dirty Sludge” and “Sticky Valves”, and its iconic neon sign that has held court in the Ballard skyline for decades, Bardahl remains a family owned and operated company with deep roots in racing, including the NASCAR and Grand Prix Formula One circuits. In Seattle, Bardahl helped morph the Green Lake Aqua Follies into the Seafair spectacle on Lake Washington, where the Miss Bardahl boat dominated the hydroplane races for years. One of our hosts for this event will be National Hot Rod Association Hall of Fame drag race driver Al Young. We’ll watch products being bottled on the line in the historical plant, see a vast collection of trophies, photos, and artifacts from Bardahl history, and observe the lab where company engineers continue to innovate. Then we’ll watch Race: The Al Young Story, a short documentary about Al’s career as the first Asian-American World Champion race car driver and the obstacles he overcame to get there. Finally, we’ll join Al as he shows us one of his race cars, his world famous ’73 Plymouth Roadrunner, which will be brought to Bardahl for the occasion. Participants will be able to see and sit in the car, enjoy the opportunity to take photos, and take home a collectible GreenLight toy replica of Al’s championship Dodge Challenger, signed by Al himself. 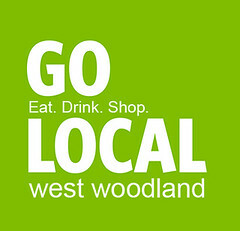 There is free street parking in the area, but it is highly competitive. Plan accordingly and consider taking public transportation. With the exception of viewing the film, where we will be seated, this is a walking tour. The area is mostly flat but will include a few staircases. There is no elevator. Email Tamara Bunnell at tamara.bunnell@atlasobscura.com. Seattle Department of Neighborhoods’ Neighborhood Matching Fund (NMF) announces the 2019 funding opportunities for community-initiated projects. Its two funds – the Small Sparks Fund and the Community Partnership Fund – support grassroots projects that build stronger neighborhoods and communities such as park improvements, public art, cultural festivals, community organizing, and much more. In 2019, NMF expects that more groups will be able to receive funding. The 2019 deadlines for the Community Partnership Fund are March 4, June 3, and September 9 by 5:00 p.m. The Small Sparks Fund provides funding up to $5,000 per project and accept applications through October 31, 2019 on a rolling basis. This fund is perfect for small community activities such as Neighbor Day, Night Out, neighborhood clean-ups, and others. The NMF team is available to advise community groups on ways to develop successful applications and projects. Community members are strongly encouraged to contact a Neighborhood Matching Fund Project Manager before applying at 206-233-0093 or NMFund@seattle.gov. More than 5,000 projects have occurred across the city since this program began in 1988. To learn more about the Neighborhood Matching Fund and its support to community-initiated projects, visit seattle.gov/neighborhoods/nmf. The website provides details on the criteria and requirements for both funds, along with instructions for the online application process. Every year, students ages 14 to 16 come from all over the state to serve as legislative pages in the House of Representatives. The Page Program is a great opportunity for youth to learn how our state government works, and gain hands-on experience with the ins and outs of the legislative process – it can even inspire them to become more involved in our democracy! 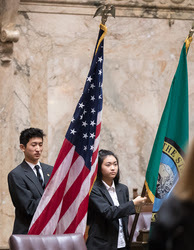 While the Page Program is free, and students receive a small stipend for their work each day, requirements like transportation to the Capitol and the costs of living in Olympia for a week have kept students from the 36th district from participating in previous years. Fortunately, the legislature created a scholarship program in 2016 to help offset those costs! If this is something your teen might be interested in, go to the Page Program website to learn more, fill out an application, and get information on how to apply for the Gina Grant Bull Scholarship. Originally published January 11, 2019 at 9:50 am. Updated January 19, 2019 at 4:09 pm. Time for school tours! If you are interested in learning more about your local school options, take note of the following open house events and tour dates listed below. Please review individual school websites for more details. Most tours are for parents and guardians only, childcare is not generally provided. Thursday, January 31 2019 from 6:30 p.m. – 8:30 p.m.
Sunday, January 27, 2019 from 11:30 a.m. – 1:30 p.m.
Tuesday, January 22, 2019 at 6:30 p.m.
Tuesday, January 15, 2019 at 6:30 p.m. Please note: Because construction on the school is not complete, this meeting will be held at Hamilton Middle School.